Hoffman Weber has worked with insurance companies to repair thousands of homes and buildings after damaging storms that include hail and damage. Whether you own a single-family or multifamily home, or commercial or industrial building, our focus is to make the insurance and restoration process straightforward and stress-free for you. 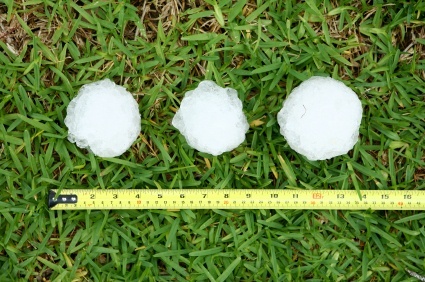 Hail can create soft spots in asphalt shingles, voiding most manufacturers’ warranties. Often hail and wind damage can be hard to detect, so it’s important to have your roof assessed for damages before leaks form. Gutters are often damaged at the same time, so it's the perfect time to replace both. We are happy to work with your insurance company and help you build a professional roof and gutters insurance claim. The severity of storm damage to your siding depends on the size of the hail and the speed of the wind. Wind driven hail can cause vinyl siding to crack and can chip paint from metal, wood, and fiber-cement siding products. This is not just an eyesore. It can also leave the siding material exposed to moisture which can lead to premature aging. A Storm Damage Assessment is important after severe weather in order to spot potential problems. Storm damage can affect not just the look of your windows, but also their ability to regulate your ithe temperature of your home. Hoffman Weber can help you find replacements that have even greater energy efficiency. 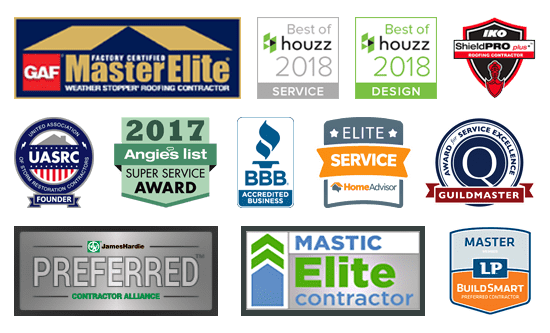 We only install the highest quality windows for your home, and we partner with some the best names in the business: Andersen, Pella and Lindsay windows. Our expert installers can help you choose windows that fit the specific needs of your house, and we’ll work with your insurance company to see that you get the windows you need. For your project you’ll have a dedicated Project Manager who will be available for you at all times during the process to answer your questions. Your Hoffman Weber representative will meet your insurance company’s adjuster at your property on the day of your scheduled inspection to ensure all property damage is accounted for. We are happy to continue to work with your insurance company and be a resource for you throughout the claims process. We care about your loss and want to keep your stress level to a minimum.